Little, Brown Books for Young Readers, 9780316306867, 176pp. 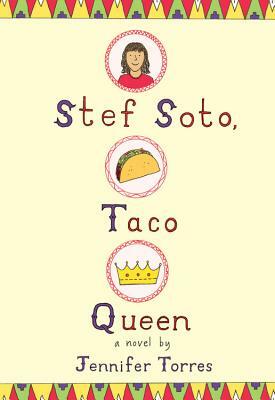 Estefania "Stef" Soto is itching to shake off the onion-and-cilantro embrace of Tia Perla, her family's taco truck. She wants nothing more than for Papi to get a normal job and for Tia Perla to be a distant memory. Then maybe everyone at school will stop seeing her as the Taco Queen.